The release of major update by Apple, iOS 8.0 and iOS 8.10 made a great leap in the software designed by Apple. Soon after the release of iOS 8.1, Pangu team has deployed the Jailbreak process of iOS 8.1. Apple app store has the list of thousands of thousands games, apps and utilities. Most of the top apps, games and utilities are paid. If you have played any premium game from top list of games, you are aware that you can play only a few stages of that game and then you have to purchase them. What iAP Cracker does is, it unlocks paid games, apps and utilities. It works on a huge list of those paid apps and games. If you wanna try before purchase, then this app is for you. There are a few iAP Cracker alternatives for iOS 8.0 and 8.1 that do same thing and crack paid apps. This is a short list of apps and games that can be use via iAP Cracker. 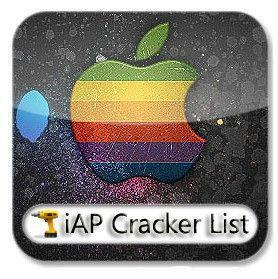 You can get the list of all compatible apps on iAP Cracker Repo Source. It includes top games, apps and utilities for your iPhone, iPad and iPod Touch. Previous articleXiaomi Redmi Note vs Xiaomi Redmi Note 4G: what’s the difference ?